Elsa and Moana are young, but they have been to many places already. They keep their memories in the travel diary. Check out whose diary is better! 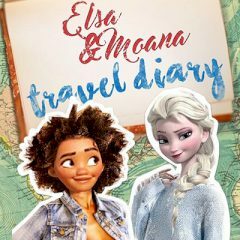 Elsa and Moana can't live without travelling and they have travel diaries, that show where they have been. Well, during the conversation they had a argue, which led to a challenge. Now they should show who is a better traveler.